Generations Federal Credit Union has announced that Jason Dizon will assume the role of Vice President of Information Technology for the 73-year-old financial institution. Dizon has been with Generations since 2008, most recently holding the position of Network Services Team Leader. In the newly-created Vice President role, Dizon will be responsible for the design, development and implementation of all IT support and infrastructure systems, software applications and organizational information systems. He will also be responsible for supervision, coaching and coordination of the credit union’s IT team, and will report directly to the chief information officer. 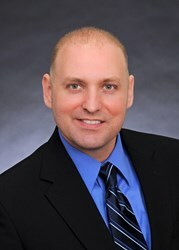 “Since he joined Generations in 2008, Jason has proven himself to be a skilled leader and dedicated professional. His diligence and strong attention to detail has guided our Credit Union through several critical system upgrades and projects. In his new role as Vice President, I know he will continue to excel and lead our IT team to additional success,” said Wes Barnett, chief information officer for Generations Federal Credit Union. A native of San Antonio, Dizon held a variety of information technology positions during his 10-year service to the United States Marine Corps. During his spare time, he has volunteered with the United Way and Margil Elementary School and is a Red Cross Certified First Aid and CPR instructor.